The COPA-DATA Partner Community is a worldwide international network of the most knowledgeable organizations with a focus on industrial automation. We have long term and sustainable partnerships based on trust and commitment. "The versatility of the COPA-DATA Partner Community combined with the professional competence and dependable support of the team, provide us with a crucial competitive advantage over our competitors." "MGX Automation GmbH is a longtime COPA-DATA partner because of their proven and globally used products, tailored to our business." Have a look at the latest news about our successful partners around the world. The COPA-DATA Partner Community consists of highly qualified and dedicated zenon experts from around the world. Find the most suitable partner in your area now! The COPA-DATA Partner Community – a worldwide network of zenon experts. Do you want to stand out within the automation industry and benefit from the many advantages of the COPA-DATA Partner Community? If yes, join us! Have a look at dedicated Partner Spotlights and learn more about COPA-DATA partners and their experience, expertise and success. 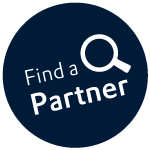 The Partner Login Area provides members of the COPA-DATA Partner Community with valuable and exclusive information.